Dr. Pierre Larmande is researcher at IRD. He is co-director of ICTLab at USTH in Hanoi. 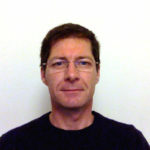 He obtained PhD in Informatics from the university of Montpellier in 2007 (about federated plant data integration approaches applied to agronomy). He coordinated the Oryza Tag Line phenotypic rice mutant database and was involved in the OrygenesDB T-DNA rice database. Since 2013, he is leading the data integration group at the Institute of Computational Biology (IBC). Dr. Larmande is the lead PI of the Agronomic Linked Data project (AgroLD), which is a RDF knowledge base that consists of data integrated from a variety of plant resources and ontologies. He is the co-PI of the AgroPortal project which aims at developing a reference ontology repository for the agronomic domain and the Gigwa project (Genotype Investigator for Genome Wide Analyses) is a web application developed to manage genomic and genotyping data from NGS analysis. Dr. Larmande is the author of 76 publications, cumulating 857 citations, including 10 international journals. He is a member of several workshops and conference program committees related to life sciences and informatics. He was the chair of the Semantics for Biodiversity workshop S4BIODIV 2013 at the ESWC 2013. He was co-chair of the PhenoHarmonIS workshops (Semantics for Harmonization and Integration of Phenotypic and Agronomic Data) 2014, 2016, 2018 editions. His main research interests are Data integration, Semantic Web, plant-ontologies, semantic data linking, Knowledge management and Big Data for plant genomics.